Your Guide Is Our Watch Word, We feed You EveryDay. The Central Bank of Nigeria (CBN) has also taken responsibility for nurturing the money and capital markets. Sequel to this, the CBN introduced treasury bills in 1960, treasury certificate in 1968, and facilitated the establishment of Lagos Stock Exchange in 1961 and the capital issue committee now known as the Securities & Exchange Committee in the early 1970s. Mr. Godwin Emefiele, the former Zenith Bank Plc Chief Executive assumed the mantle as the 11th CBN chief as well as its 10th indigenous governor. Emefiele, who replaced Mallam Sanusi Lamido Sanusi, whose tenure elapsed on 1st of June, brings to the job over 20 years of banking experience. Central bank keeps account for commercial banks as well as other financial institutions operating within the country. 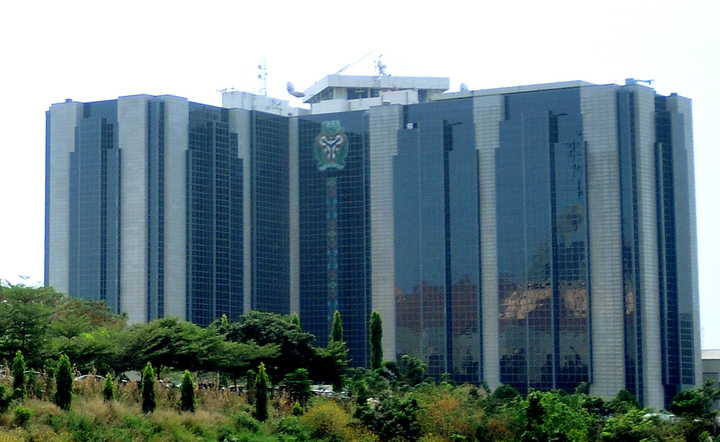 The CBN maintains current account for commercial banks. Similarly, it undertakes trade finance functions on behalf of banks’ customers. Finally, it provides temporary accommodation to banks in the performance of its functions as lender of last resort. The Central bank manages domestic debt under strict compliance to instructions from the federal ministry of finance. On the domestic front, the Bank advises the Federal Government as to the timing and size of new debt instruments, advertises for public subscription to new issues, redeems matured stocks, pays interest and principal as and when due, collects proceeds of issues for and on behalf of the Federal Government, and sensitises the Government on the implications of the size of debt and budget deficit, among others. 5. Clearing house for cheques and other financial instrument The Central Bank performs the duty of a Clearing House for cheques. It settles the accounts of commercial banks and enables them to clear their dues by the process of book entries. It should be carefully noted that a Central Bank does not come in competition with other banks. That is why it does not pay interest on the money kept with it. Promotion and maintenance of monetary stability and efficient financial system: The effectiveness of any central bank in executing its functions hinges crucially on its ability to promote monetary stability. Price stability is indispensable for money to perform its role of medium exchange, store of value, standard of deferred payments and unit of account. Perhaps the most important function of a Central Bank today is the control of credit, i.e., regulating the volume and direction of bank loans. Maintenance of Exchange Rate: Another very important function of a Central Bank is to maintain a stable external value of the home currency. A stable exchange rate is necessary to maintain and promote a country’s foreign trade and to encourage the inflow of foreign investments, which is so essential for accelerating the pace of economic growth, particularly in the under-developed countries. In order to maintain the rate of exchange stable, a Central Bank is always prepared to buy and sell foreign currencies at the rates fixed by it. It is the Central Bank which serves as the custodian of nation’s reserves of gold and international currency. It is its duty to take appropriate measures to safeguard these reserves. Formerly, in certain countries like the U.K., even ordinary banks used to issue notes. This resulted in uncontrolled confusion. Hence gradually the right of note-issue was withdrawn from other banks and conferred on the Central Bank. Thus, note-issue became the sole privilege of the Central Bank in a country and its notes became full legal tender. Monetary policy decision-making and implementation are the defining characteristics of the central bank. Whichever institution undertakes these functions is, in essence, the central bank. However, there are differences between countries as to how extensive the central bank’s independent responsibilities are for these aspects of monetary policy making. The central bank is required to maintain the rate of exchange, i.e., the external value of the currency it has to conduct foreign exchange operations at some specified exchange rates. It also exercises the exchange control, i.e., control of foreign exchange. The central bank is required to take various steps such as deposits insurance, extension of banking facilities in the unbanked areas, etc. for strengthening the country’s banking structure. The central bank controls and supervises the operations of other banks through licensing, inspection of bank accounts, bank mergers, etc. To make a judgment on inflationary pressures. CBN examines every aspect of the economic situation and look at a variety of economic statistics to get a picture of the whole economy. The Customer is the most important person in the economy and every business succeeds only when the customer is happy. This explains why the customer is regarded as King. As a King, the customer has many rights. But a King also has duties which he owes himself and the economy. In Nigeria, customers of banks have certain rights and duties guaranteed by law, regulation and conventions. Some of these rights includes; right to choose, right to privacy and confidentiality, right to safety, right to equality, as well as right to good service. Developmental finance role: The central bank of Nigeria conducted development finance roles through its credit schemes such as: Refinancing facilities for agricultural export commodities, Rural finance and banking support scheme, Agricultural credit guarantee scheme, Commercial agricultural credit scheme, Small and medium scale industry credit scheme. Advertise with DAILYGUIDES NG Today! !